Join in the bike for Parkinson's. 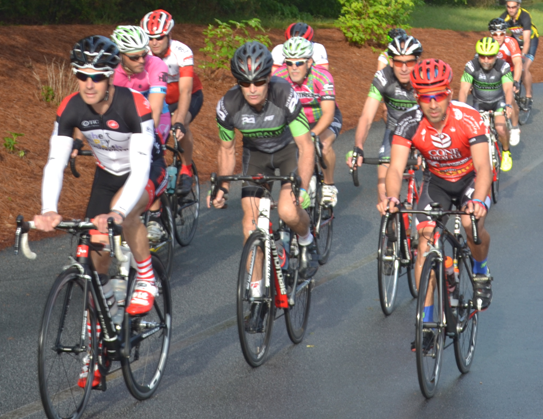 Register for a challenging 55 mile bike ride to Caraway Mountain, a 40 mile moderate distance bike ride, or a 25 mile bike ride. Bike event registration includes t-shirt, cookout, park rides and more. Join in the run and walk for Parkinson's. Register for a 10k, 5k run, or family walk in the park. Run and Walk event registration includes t-shirt, cookout, park rides and more. The Hamil-Kerr Challenge Foundation for Parkinson’s is a non-profit 501(C)3 organization run by volunteers, whose mission is to strive to empower those living with Parkinson’s Disease (PD), Progressive Supra-Nuclear Palsy (PSP) and Multiple System Atrophy (MSA). Through our financial support, recipients benefit from individual and group programs. We currently hold an annual event to raise funds to help local families suffering from various Parkinsonian syndromes. Of all money raised, 100% is used to help offset the cost of services needed by patients to increase their mobility and strength. This has a positive impact on their emotional, social, and physical well-being.